The shounen genre is arguably the most popular genre there is in anime, and it’s done an incredible job establishing itself in the West. All the way back from Astro Boy in the 1960s, we’ve become attached to stories about young adults overcoming obstacles after obstacles to save their friends and reach the peak of their ambitions. 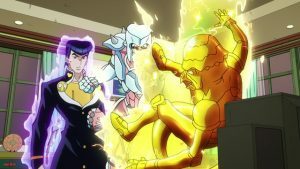 Shounen’s expansive casts, fierce head to head confrontations, and increasingly thrilling competitions have made it an easily enjoyable genre. We never go long without hearing about an exciting new shounen breaking new boundaries, subverting old conventions, or refining the formula. 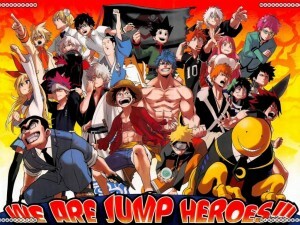 All of those combined to make whittling down all the shounen to a list of just ten a tough task; however, only ten of those contenders could make our list and after much deliberation, here are the ten best shounen out there. Yato is a nameless minor god without a shrine to his name. If you have five yen, he’s willing to do just about any odd job you have in mind for him. Although he has ambitious dreams to become a widely worshipped god, he’s so far from his goals that his Regalia, a god’s weapon partner, abandons him. Hiyori, a high school girl able to see phantoms, comes to the rescue of Yato under the belief that he was about to be run over by a truck. The accident not only leaves Hiyori in a hospital bed but also a half-phantom. 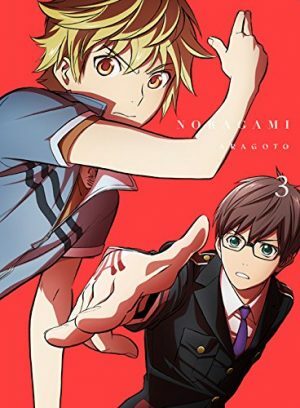 Hiyori enlists Yato to help her get back to normal for the affordable price of five yen. Noragami establishes the shounen stakes early on: Yato is aiming to be a famous god, but he’s starting from the very bottom. Despite what you may initially believe, Yato is less like the ambitious youngsters aiming to become the strongest, but more so the forgotten warriors trying to atone for their past. Noragami best represents the spirit of shounen with its emphasis on the friendships between Yato, Hiyori, and his new Regalia Yukine. Nevertheless, Noragami never falls short of providing fights with the emotional-punch we love to find in shounen. Moritaka Mashiro’s dream of becoming a mangaka is crushed the day his uncle, an accomplished mangaka in his own right, dies from overwork. Mashiro chooses to settle for the life of a salaryman, but that doesn’t stop him from drawing in his notebooks. 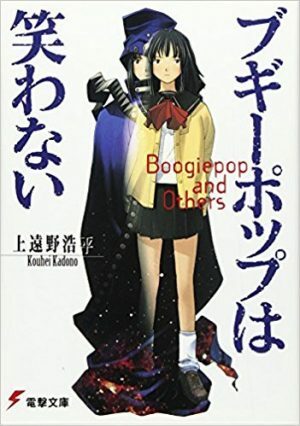 One day, Akito Takagi, an ace student and aspiring writer, discovers Mashiro’s notebook and proposes they team up to create a best-selling manga series. 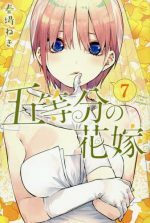 When Takagi’s proposal is rejected, he drags Mashiro to the house of Miho Azuki, the girl Mashiro has a crush on, and tells her of their plan to create a manga that will become an anime where she will be the lead actor. Now motivated by these new goals, all three middle school students won’t settle for less than their ambitions. 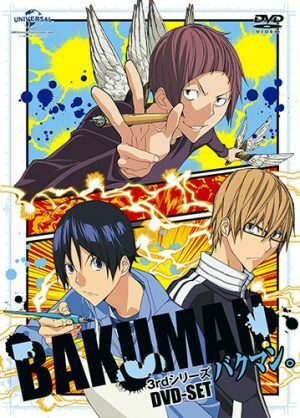 Bakuman’s Mashiro and Takagi must deal with the common problem most shounen leads are faced with: their goals are hard to achieve. 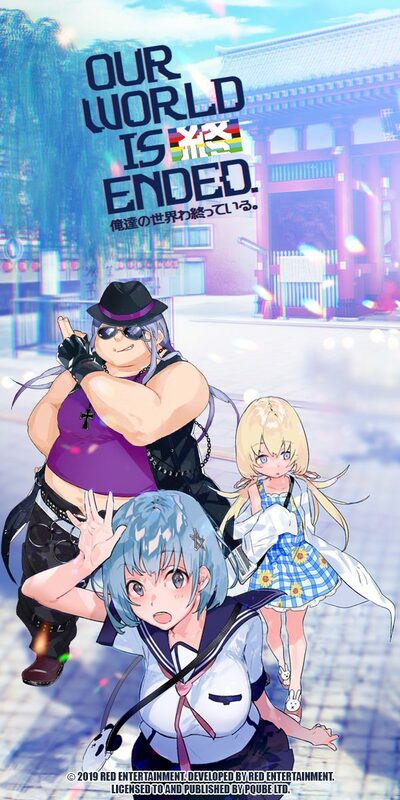 Even with his uncle being the creator of a popular gag series, he still ended up in debt and overworked, and for a moment, this sidetracked Mashiro’s dreams. Bakuman is a definite stand-out on this list because its characters aren’t physically competing but that only highlights that the true spirit of shounen goes beyond just the fist fights. It doesn’t really matter what you’re competing in as long as you are competing, the challenge is lofty, and the competition is to be the best. Mashiro and Takagi know from the get-go they’ve got a tough task ahead of them, but they aren’t willing to relent. The Seven Deadly Sins are legendary knights who betrayed the Holy Knights of Britannia, so they could overthrow the ruler of Liones. They failed and were defeated by the Holy Knights. A decade later, the Holy Knights of Britannia have overthrown the ruler of Liones and begun their tyrannical reign over the kingdom. Elizabeth, one of the former princesses of the Kingdom of Liones, scours the region of Britannia to find the Seven Deadly Sins and get them to help her take back her throne from the Holy Knights. Meliodas, the lead character of The Seven Deadly Sins, fits into that category of shounen characters seeking to atone for their past. He’s not the only one, of course, all the other knights of his faction tend to have dark pasts as well. They each have an opportunity with Elizabeth and the Kingdom of Liones to atone for those sins by taking the throne back from the Holy Knights. The Seven Deadly Sins has all the big magical fights you could ask for, a great cast of protagonists, and a particularly sweet tournament arc to boot. Tetsuya Kuroko was called the “Phantom Sixth Man” as part of Teikou Junior High School’s basketball team. The team went on to win championships three years in a row and earned the name “The Generation of Miracles,” but went their own ways in high school and became rivals. 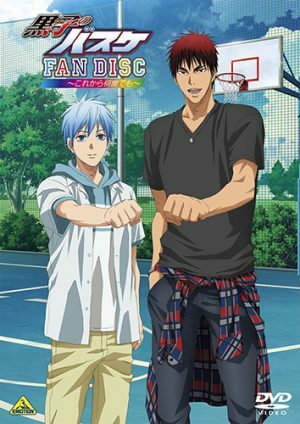 Tetsuya ends up going to Seirin High School where he teams up with Taiga Kagami, a player returning from the US, and they aim to win the Interhigh championship. It won’t be easy, especially when the former members of “The Generation of Miracles” will be standing in their way. Sports have always gone hand in hand with shounen, so it wasn’t too hard to make one out of basketball. Kuroko is the ultimate underdog, he’s only got one skill, and in a way, so does Kagami. However, they both must find a way to overcome their crippling overspecialization if they want to be able to beat the once-in-a-decade competition they’re facing from “The Generation of Miracles”. Kuroko’s Basketball dishes all the tournament battles, practices, friendships, and over-the-top action you can ask for in a shounen, all in a neat basketball package. Kusuo Saiki is a psychic with countless abilities like x-ray vision, teleportation, telepathy, and telekinesis. His powers have been more of a curse than a blessing for him and only serve to make his life troublesome. Unfortunately, unlike most people, he doesn’t get to experience the highs and lows of life thanks to his powers. Furthermore, his psychic abilities somehow conspire to get him involved with the weirdest people. Saiki tries to avoid being in the spotlight but between his powers and the people it attracts, he doesn’t have much choice in the matter. 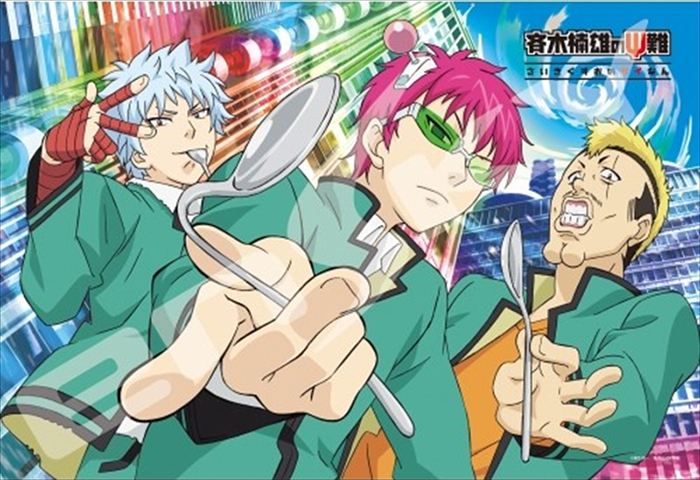 The Disastrous Life of Saiki K. is somewhat of a parody of the shounen genre. Saiki K is all-powerful from the start and instead of having some great goal, he simply wants to live a normal life. 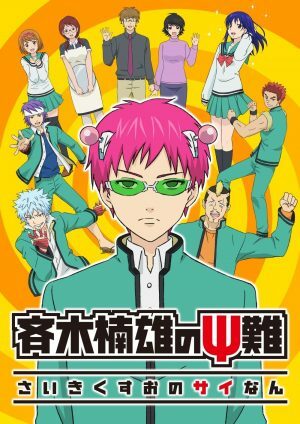 Saiki K ramps up all the comedic elements found in shounen to eleven, and with its eclectic cast and short five-minute episodes, it’s hard not to enjoy the way Saiki K’s switched up the shounen formula. Titans, flesh-eating creatures, have driven the last remnants of humankind behind three concentric walls. Humanity managed to survive behind these walls for a century until a colossal titan shattered their fragile peace and broke a part of the outermost wall. 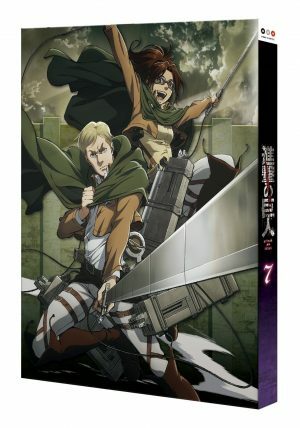 Eren Yaeger, Mikasa Ackerman, and Armin Arlert, three children who suffered a great tragedy when the wall broke, now enlist into the Survey Corps to combat the Titans outside the walls. Attack on Titan has quickly risen in popularity worldwide because of its much more somber take on the shounen genre. 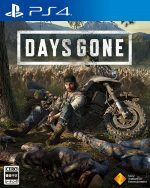 This series combines shounen tropes with the anyone-can-die nature of today’s finest post-apocalyptic series. Eren Yeager has an ambitious goal to match his fellow shounen leads, though it’s certainly darker than most of his peers: he wants to kill every titan on Earth. Eren will discover the ability to do just that, and his friends will be eager to help him, but he’ll also figure out that the world he lives in is much bigger and somehow more dangerous than he initially thought. The human whose name is written in the Death Note shall die. Shinigami owns these notebooks and out of boredom. a Shinigami called Ryuk decides to drop his Death Note on Earth. Light Yagami, high school student and prodigy, picks up the Death Note and decides to skeptically follow its instructions. When the Death Note does as its intended to do, Light Yagami sees it as an opportunity to rid the world of crime. He will quickly find himself opposed by the greatest detective in the world, an eccentric named L, and caught in a game of cat and mouse. While Attack on Titan may be one of the darker shounen to date, it’s hard to top Death Note. 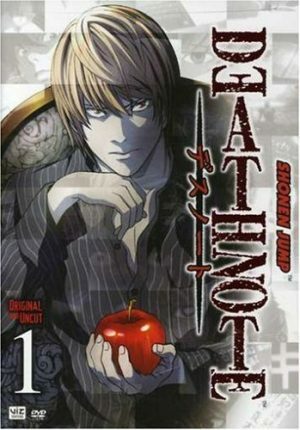 Light Yagami wants to rid the world of crime, and as far as goals go, it certainly fits into the shounen genre; however, the way Light goes about it leads him to a darker path than most of his peers. Death Note may not have the iconic fight scenes of other shounen, but the series-long rivalry between Light and L stands toe to toe with any other shounen rivalry, and the game of one-upmanship is as thrilling as any fight you can find. 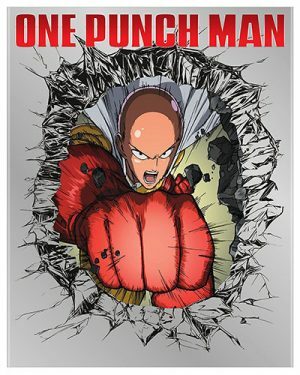 Saitama is a hero who can defeat anyone with only a single punch. He’s only a hero for fun, and for all intents and purposes, looks like an ordinary man. Being a hero without a challenge has made Saitama’s life out to be rather underwhelming. Despite his power, no one knows his name, but there’s an opportunity to change that when Genos, a 19-year-old cyborg, registers them in the Hero Association. Now a registered hero, Saitama will begin the solemn search for an opponent that will take more than a single punch to defeat. 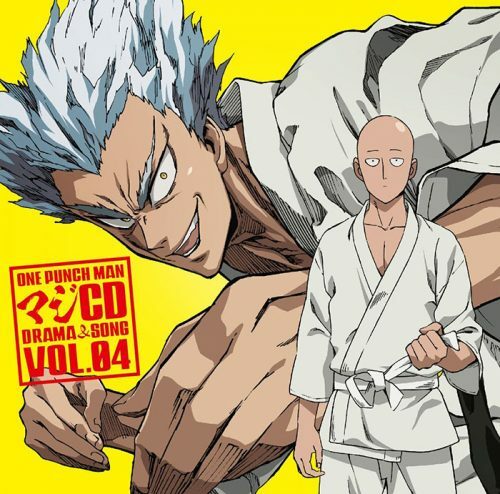 One Punch Man is a deconstruction of the shounen and superhero genre. Most shounen tend to focus on the main character working up to achieving untold power but Saitama already has that, and no villain or hero is a match for him. He’s well contrasted with One Punch Man’s other heroes who actually have to struggle against much stronger opponents, but whenever Saitama gets involved the fights are done with a single strike. In One Punch Man, you’ll find a brilliant action-comedy that fittingly plays host to some of the most gorgeous fights and funniest gags you’ll see in the genre. Sakata Gintoki is the president of the Yorozuya, a company that does odd jobs to make ends meet. The other two members of the Yorozuya are Shimura Shinpachi, a samurai-in-training, and Kagura, an extremely strong alien. In an Earth where Japan was invaded by aliens during the Edo period, technology has quickly advanced, and the samurai have been mostly wiped out. 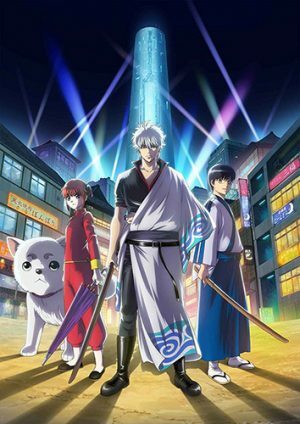 It’s hard to make ends meet for Gintoki, but in a world of aliens, assassins, rebels, pirates, and everything else under the sun, there’s always a job to be done. Much like Saiki K and One Punch Man above, Gintama takes from its predecessors and contemporaries to heavily parody the shounen genre. 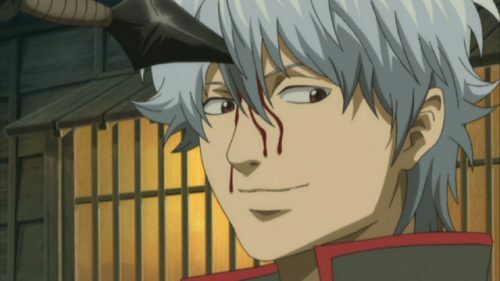 Gintoki will easily draw similarities to the leads from Noragami and The Seven Deadly Sins mentioned earlier in the list, he has a dark past that he’s mostly tried to move on from. While Gintama is liberal with gags you can find everywhere from the episode titles, to the most dramatic of situations, it’s still quite ready to get serious when need be. The Yorozuya aren’t all that ambitious, but get ready for plenty of Earth-saving fights, and periodic rescue missions to go along with Gintama’s consistent humor. Shouyou Hinata fell in love with volleyball after watching a player nicknamed “The Little Giant” on television. Although there was no volleyball team at his middle-school, he practiced intensively, convinced other people at his school to join, and they qualified for a tournament. Unfortunately, they ran into “King of the Court” Tobio Kageyama and were unceremoniously defeated. Hinata’s made it his goal to become better than Kageyama and joins Karasuno High School’s volleyball team, the same school “The Little Giant” attended. 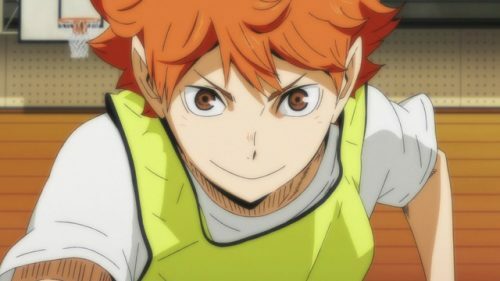 A surprise awaits Hinata at his new school, one of his teammates is Kageyama, and they will have to set aside their differences if they want to restore Karasuno to glory. As with Kuroko’s Basketball, the premise of Haikyu!! 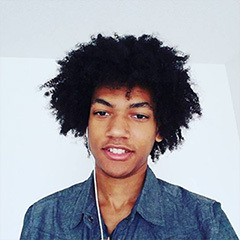 revolves around the middling lead character trying to overcome failures from middle school. Furthermore, Haikyu!! also has two lead characters on the frontlines trying to overcome their differences to elevate their team. Haikyu!! 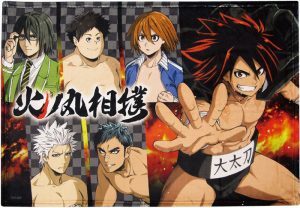 has everything that makes a shounen special, the entire series is pretty much a tournament arc, the animation is sublime, Hinata is an underdog worth cheering for, and its expansive and constantly growing cast have gripping relationships, friendships, and rivalries throughout. 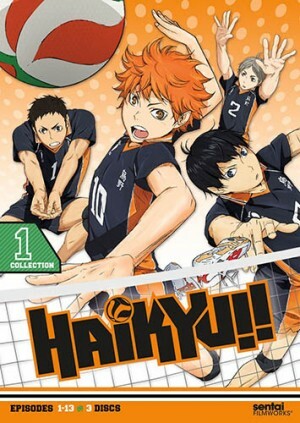 It can be easy to dismiss sports anime, but there’s a reason Haikyu!! tops our list of shounen, and it’s not a series you’d want to miss out on. It’s hard to say what shounen is at its core: a story about friendship, competition, or pursuing your goals? Maybe it’s all of the above! 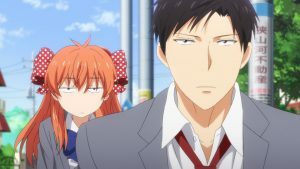 That uncertainty is what provides us with a great variety of series; we’ve seen darker shows, parodies, sports, a show about becoming a mangaka, and more traditional shounen about atoning for past mistakes, sometimes with two or more of those combined. So, you’ve got our Top 10 Shounen Anime, what are your favorite shounen, and what makes a shounen great for you? The term “shounen” is often misused as a genre. As a demographic, it’s the term magazines use to determine who their core audience is and the sort of content that would be appropriate to publish within those pages. However, as time has gone on, these demographics have become less relevant with seinen magazines publishing fairly tame material and shounen magazines going quite dark. However, in the West, we’ve managed to completely misuse the term to mean something else entirely. In the West and in this list, ‘shounen’ is often used to regard the battle series that became increasingly popular within shounen magazines such as Weekly Shounen Jump and Weekly Shounen Sunday. Due to the nature of battle series, these manga often have a continued lifespan and in some cases, even receive full anime adaptations. 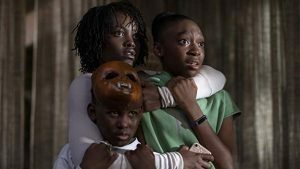 This is a selection of 10 of the best adaptations of these sort of battle series that are packed to the brim with supernatural action. Before Naruto was Shippuuden, it was just Naruto. Telling the story of a boy rejected by his village, Naruto sets out to become the Hidden Leaf Village’s greatest ninja and eventually, the leader of the village, the Hokage. 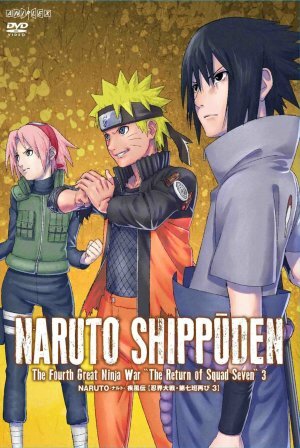 Set up into various different arcs, each story shows Naruto’s growth as a character alongside his teammates Sasuke and Sakura. One key moment is when he saves the village from a rampaging Gaara, turning his image amongst the villagers for the better. Each arc expands this ninja world, exploring the limits of a ninja’s power displayed through each of the characters we meet. Naruto was one of the most popular shounen battle series, capturing audiences very early on, securing itself a run that’s gone on for 14 years and still continuing with Naruto Shippuden and eventually Boruto. The series has spawned multiple games, figures and even several spinoff movies, including The Last and Boruto, expanding the series into the future. The original and according to some, the best. 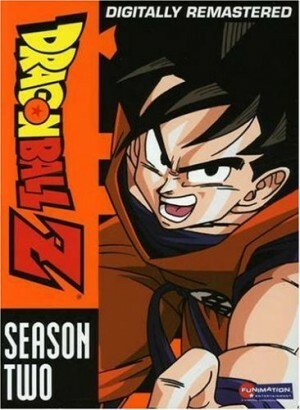 Dragon Ball Z is perhaps one of the most popular anime series among a global audience, with it being a staple of 2000s anime viewing for Western fans, showing on Cartoon Network, Toonami and CheezTV. In a series that is always willing to push the limits of scale, Dragon Ball Z takes a young Goku into the stars, pitting him against some of the greatest enemies the galaxy has to offer. With the franchise starting with battles against common thieves, Dragon Ball Z has Goku travel to alien planets to face world destroying alien emperors. 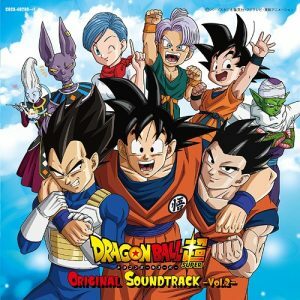 Famed for its lengthy action packed battles, Dragon Ball Z is the intrinsic action/comedy in regards to anime, with its wacky characters and world never detracting from the personal stakes at hand, even when characters can be easily resurrected. Now that the series has been rebooted with Dragon Ball Super and various movies, the scale has put Goku against the power of the Gods in a brand new adventure. In a world of seas, pirates rule the waves with fierce power. 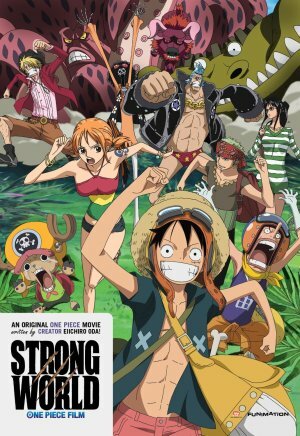 After the promise of great treasure at the end of the Grand Line, Monkey D. Luffy assembles a crew to sail the seas to find it. With the power of the Devil Fruit giving characters extraordinary powers, each conflict absorbs a specific theme and the way in which battles are concluded rarely just comes down to “hit them really hard this time”. Whether it’s travelling through the desert, hijacking a train or saving an island from a tyrant, One Piece keeps the rules of its world loose, to allow for a new type of story as the journey continues. One Piece is the definitive most popular manga right now, constantly topping the sales charts as well as Weekly Shounen Jump’s rankings. The series is currently in the second half of the adventure, having passed the midway point. It’s a strong crew in regards to both their characteristics and their powers with each being unique enough to create a spectacle either fighting a formidable foe or tackling a simple obstacle. Magi is a much more recent entry into this list compared to the choices above. With myths coming to life, we follow Aladdin, Alibaba and Morgiana through a world of magic based on the world of the Arabian Nights. 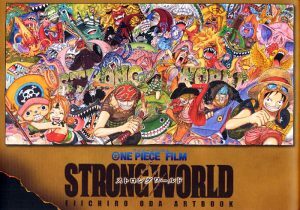 Playing out through a similar structure to One Piece, our cast stop off at various points throughout their adventure to solve a problem and get involved within that story. However, Magi is much more willing to separate its cast, letting them be reunited later, after they’ve completed their own personal story. 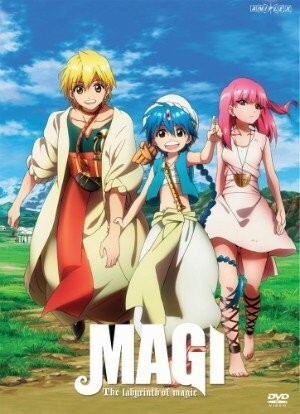 Airing in 2012, Magi takes its opportunity to show off this world with bright colours and vibrant effects animation with a lot of great character animation to really get at the personalities of those we meet. 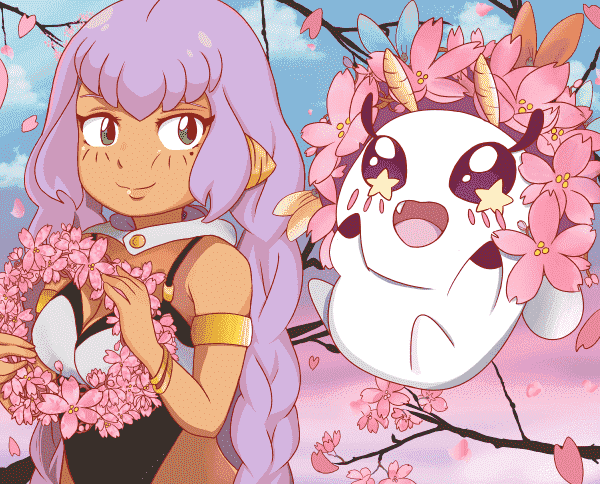 However, as we go into the Kingdom of Magic series, the series ramps up to new heights with extreme powers and strength that takes the show to a whole new stage. The franchise currently has a spinoff airing following Sinbad on his adventures prior to the start of Labyrinth. 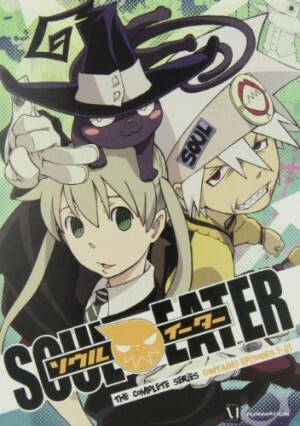 We’ve had pirates, ninjas and the arabian nights, but Soul Eater is ready to take us into a world of horror. Although it isn’t a horror series itself, it completely adopts that theme in this high school action series. With the student base being split between Meisters and Weapons, Maka and Soul pair up to become the ultimate fighting duo. 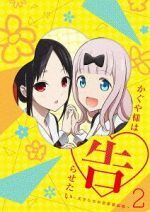 Fighting witches, demons and everything in between, the theme is what keeps Soul Eater alive and exciting along with director Takuya Igarashi’s excellent handle on comedy within his series. Shounen battle series don’t usually get such acclaimed directors such as Takuya Igarashi and his presence takes it to new heights within the genre along with genius composer Taku Iwasaki, adding rap insert tracks by Persona 3’s Lotus Juice. Soul Eater was a recipe for success from the very start with some of Studio Bones’ best animators providing cuts and an opening composed entirely of impressive background animation. Even its spinoff Soul Eater NOT did a great job of expanding its world for a new purpose. The Seven Deadly Sins is a shounen battle series flipped upside down. 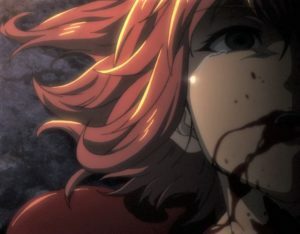 Instead of a show about an underdog getting more power and the ability to take on defiant villains, the characters of Sins have already gained all of that by the time the series has started. They’re already strong and they already have the knowledge needed to go ahead with their task. The problem is, they’re scattered and their weapons have been lost after a betrayal by their own kingdom. 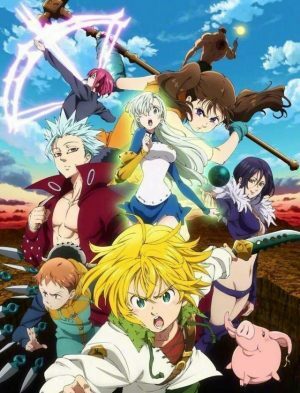 Whilst most of these series use flashback to give context to a character’s motivations, The Seven Deadly Sins relies on these lengthy flashbacks to tell its story and it does an effective job at tying them in with present day events. 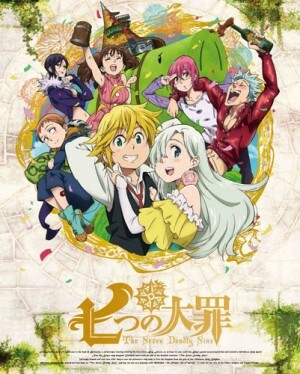 With an upcoming second season and a four episode special airing in Summer, The Seven Deadly Sins is famous for having incredible success in regards to its promotion of the manga. 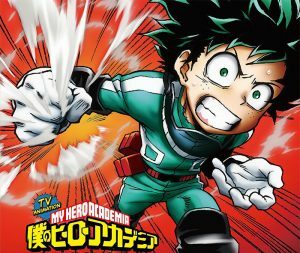 After the anime aired, manga sales for the series went through the roof, beating out One Piece in the charts for the first half of the year as the most popular manga series. Its place on the Nichigo timeslot in Japan is not to be understated and we can look forward to seeing more of it in the future. Airing in that very same timeslot as The Seven Deadly Sins, My Hero Academia is another series fuelled for great success in the future. 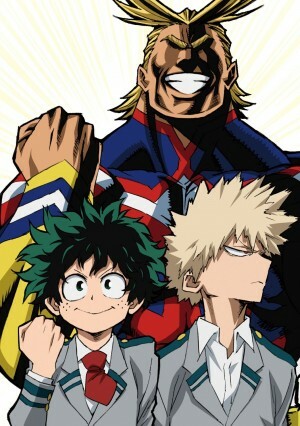 In an age where superheroes have become the most popular thing in the world, the cultural influence has spread far and wide, including My Hero Academia’s world of superpowered individuals. Instead of the classic Avengers angle of superheroes saving people, My Hero Academia’s premise is closer to Sky High and I say that with the full knowledge that that was a terrible movie. 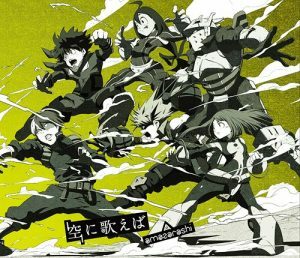 But think of My Hero Academia is a good Sky High. A really good Sky High, in fact. With an exceptional display of character emphasised by the character designs of Yoshihiko Umakoshi, My Hero Academia always takes the opportunity to explore these important human moments, rather than just jumping battle to battle with a few cheeky quips added in. It’s a real character story about superheroes rather than a superhero story with characters that happen to be there. 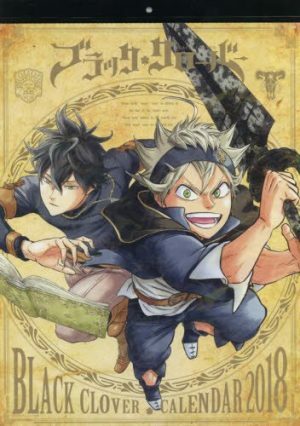 The manga is currently one of the most popular within Weekly Shounen Jump and I look forward to seeing more from it. 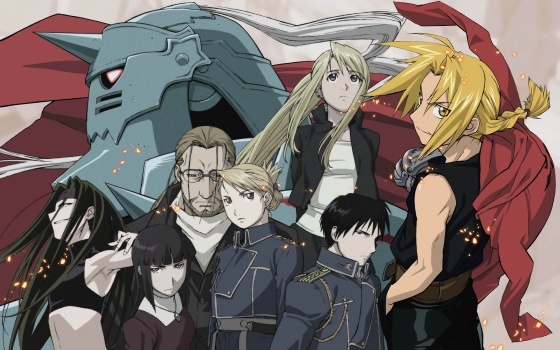 As the reboot of the classic 2003 series, Fullmetal Alchemist: Brotherhood brings in a unique appeal through its exceptional animation and fresh design. Whilst the 2003 series is still special in its own right, Brotherhood is famously easier to recommend and is the far more popular of the two series. Whilst it still is a battle series, a lot of the action is spread out across its run and many conflicts may not be resolved, resulting in these really neat quick skirmishes. 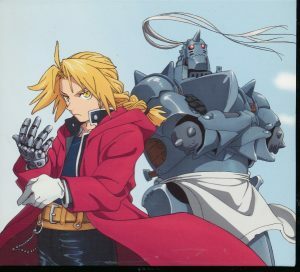 Even though Edward Elric is indeed a strong protagonist, it’s many of the side characters and villains that really add weight to the narrative with their own personal arcs that all tie together into the larger battle at hand. 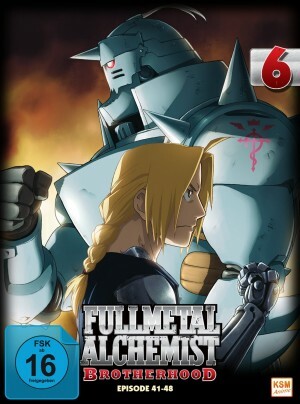 You’ll find Fullmetal Alchemist: Brotherhood on the top of most anime popularity lists as well as many favourites lists, with it being one of the most recommended shows for newcomers to watch, despite its 64 episode run. 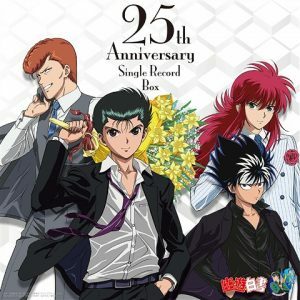 It’s still regarded as one of Studio Bones’ most valuable works, with several cuts of animation by the renowned action animators Yutaka Nakamura and Yoshimichi Kameda, displaying impact within every unforgettable battle. Get out your blades! And proceed to chop onions. Food Wars! : Shokugeki no Soma is an entirely different form of battle series, instead taking place through cooking. Adopting many of the narrative tropes and style of the battle shounen that do so well in Weekly Shounen Jump, Shokugeki repurposes them for a cooking battle that trumps much of its more vanilla competition. Reimagining cooking competitions like Master Chef and Hell’s Kitchen, Shokugeki no Soma regards cooking to be not just important, but penultimate. Each character has their own style or cuisine and it’s reflected in the same way as a fighter would with their own special abilities. 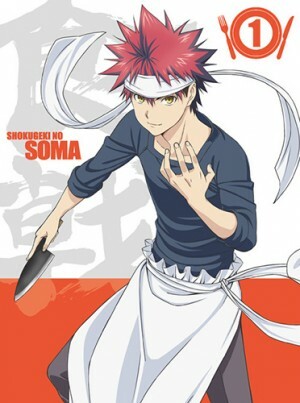 With a second season on the way next season, Shokugeki no Soma is a part of the new age of Weekly Shounen Jump now that many of the big names within the magazine have faded. Like My Hero Academia, it’s a fairly new series and hasn’t really had the opportunity to expand as much as the magazine’s other properties. 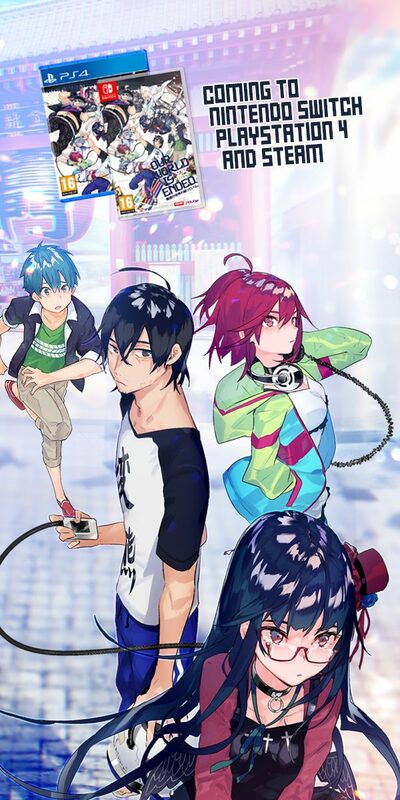 Hopefully we’ll start seeing Soma in our Jump fighting games soon. Speaking of the new age of Weekly Shounen Jump, author Yoshihiro Togashi is certainly someone from the old age. As the creator of Yu Yu Hakusho and eventually Hunter x Hunter, he’s defined exactly what the magazine is all about. 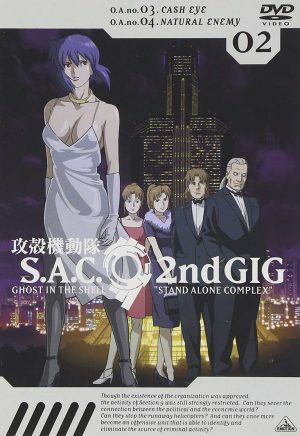 Whilst the series had an adaptation in 1999, it was incapable of continuing beyond what had been created thus far. But thanks to the series’ continuing popularity, even throughout various hiatuses, the series was greenlit for a remake, this time adapting the Chimera Ant Arc. 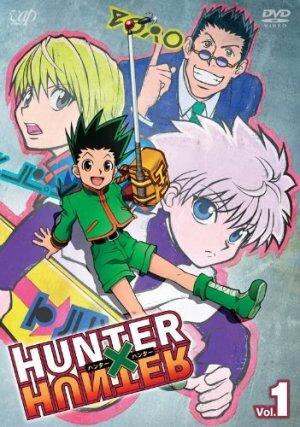 Following Gon and Killua throughout various adventures, Hunter x Hunter is regarded for its exceptionally creative action sequences and the logic behind them. 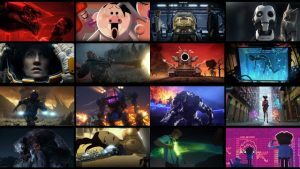 Each power has its own rules and the way in which these rules are exploited makes for a marvel to watch as we always understand exactly what each of the characters options are and what they need to achieve to win the battle. 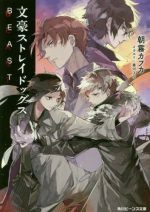 Each part of the series takes on a different genre entirely, with tournament battles, sleuthing in New York (Or rather, Yorknew) and even a ‘trapped in a video game’ arc, all with entirely unique narrative elements that reinvents what the series is about. 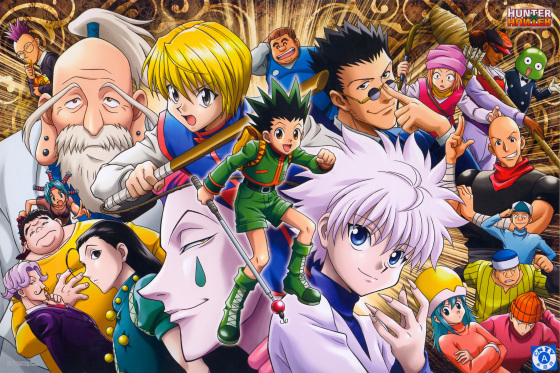 Despite its 148 episode run, Hunter x Hunter is not something to be missed. And by the time it’s done, you’ll regret doubting it as you hammer on the doors of Shueisha yelling for more. And those are 10 of the best battle shounen series out there. All of which with creative combat or, in the case of Shokugeki, creative cooking that I’m sure you’ll be on the edge of your seat for, desperately smashing the “Play Next Episode” button. Let me know what your favourite shounen battle series are in the comments below. What Makes A Good Shounen Lead Character?